A few weeks ago, I noticed a commenter on a local blog was also from Edmonton. Apple Box Boutique...I was intrigued by a name like that! So I clicked through to the profile and discovered a new adorable store! The lovely Leanne is the owner of Apple Box Boutique, which opened it's doors (shared with Sugar Blossoms Floral Design Inc.) just before Christmas. She paints and refinishes beautiful furniture, and sells other home decor in the shop. After a couple of Saturdays that didn't work out, I finally made it to the store. First impression: a heavenly smell! Sugar Blossoms' wares certainly make this a welcoming place. It's worth going for the smell alone! With only a few butterflies of nervousness, I introduced myself to Leanne. She remembered me from my comments on her blog. It was so nice to meet a local blogger, an independent shop owner, and a truly nice person! Leanne very sweetly allowed me to take pictures of the shop, although the displays aren't complete due to some ongoing renovations. I love this kind of store. The Highlands area seems to be full of unique shops like this and I can't wait to explore the neighbourhood a little more. I didn't look at any prices at the store, but now that I've looked closer at the pictures, I wish I had! I'll have to go back to check out the containers above (both the yellow patterned one and the chicken-wire one), as well as the adorable sleepy owl pillow below! Remember that every comment on any post is counted as an entry in the Vintage-Inspired Giveaway! Of course, feel free to comment even if you don't want to enter the giveaway! Make sure I have a way to contact you if you're the winner! Oh I wish I was in Edmonton - first to meet you and second to go to this lovely shop!! Heather, definitely let me know if you ever come this way! I'd love to meet you. Oh this place sounds and looks amazing. So glad that I found your blog!! What a pretty shop. You are such a good photographer. Thank you so much for all the inspiration. What a pretty blue table! Oh, I think I need to visit my niece in Edmonton! What lovely items. 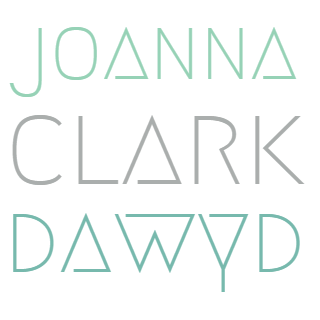 All posts and photos written and photographed by Joanna Clark Dawyd unless otherwise noted. Simple theme. Powered by Blogger.